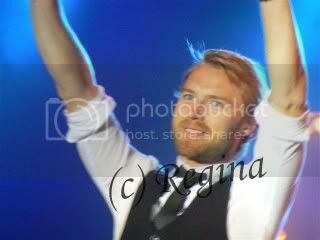 I wish everyone a happy new year wtih lot of love and lot of Ronan' songs!! Best wishes for 2007 !!! Happy and healthy New Year !! I also wish you all a Happy New Year and may all your wishes come true! Happy new year ( Feliz Ano Novo - in portuguese ). And Ronan all the time. Your cat looks nice as well.. I cant resist when I saw him sleeping to put some paperrolls on him ..lol. I JUST WANT TO THANKS JANINA & DIANE FOR THIS FORUM AND GIVE US WONDERFUL VIDEOS . I hope those of you who celebrate Christmas have a lovely time over the holidays - Enjoy it. Thanks so much to those who support this forum by posting or sending in videos. It wouldn't be here without you. And to the lurkers - talk to us! Thanx so much for this site. And Janina and Diane, thanks for all you've put into the site. Appreciate it.